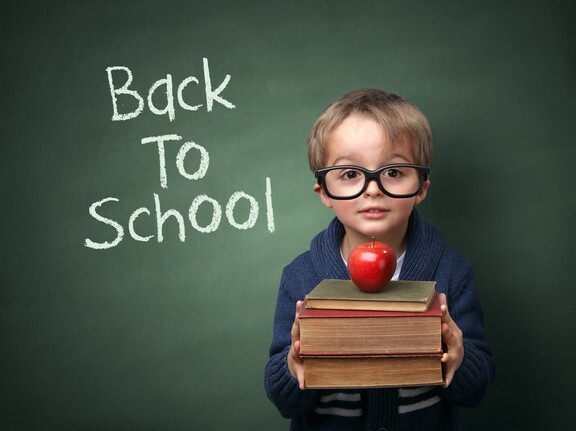 Get ready to go back to school with an eye exam! It’s almost time for the kids to go back to school! Have your children had their eye exam? An annual eye exam is a back to school essential. Did you know 1 in 4 children have an undetected vision problem? Schedule an appointment today with Professional Vision in Rochester! Dr. Kay treats many First City employees and their families! 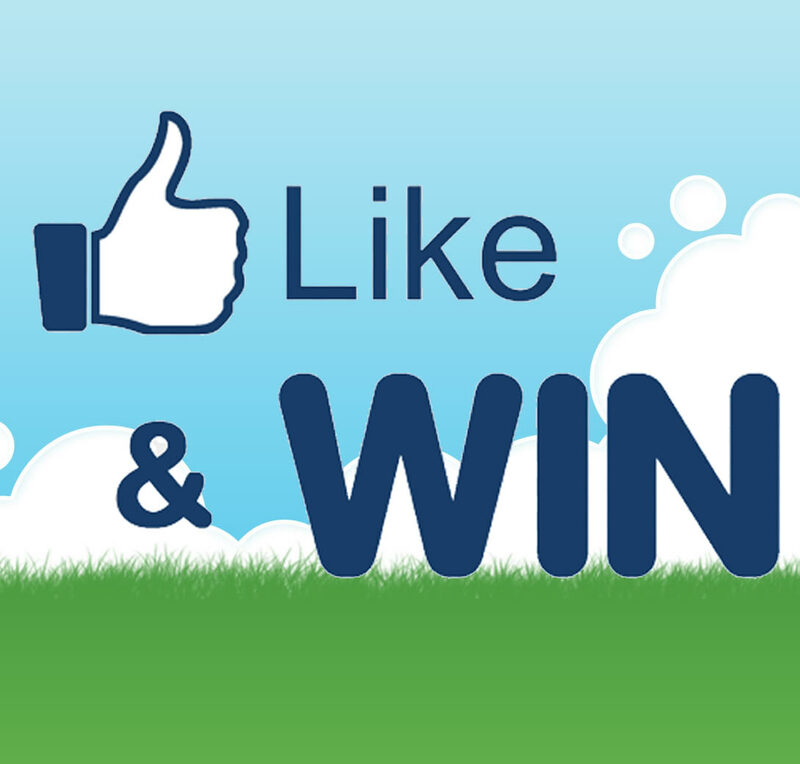 Like us on Facebook for a chance to win $180 off an eye exam and glasses on September 1st! IT'S HERE!! Enter to win September's giveaway! Enter to win prizes from one of the Lilac City’s Blooming Businesses! 10 winners will be randomly selected on September 1st and will be able to choose a prize from one of the following businesses! To enter you must “Like” First City Cars and Trucks on Facebook. If you “Like” our page and then “Share” the giveaway on Facebook you will have your chance of winning DOUBLED by your name being entered twice! Thank you for a successful yard sale! Thank you to everyone who joined us for our 1st annual Blooming Businesses of Rochester Yard Sale! It was a great turn out! Our employees had tons of household items for sale. Union St. Trading Post had items from their shop including DVD’s for only $1! Integrity Automotive brought trailers FULL of items from toys to auto parts. Dena at Lucky Finds Antiques was selling every item for $1 each! Did you catch a great buy at the yard sale Saturday? 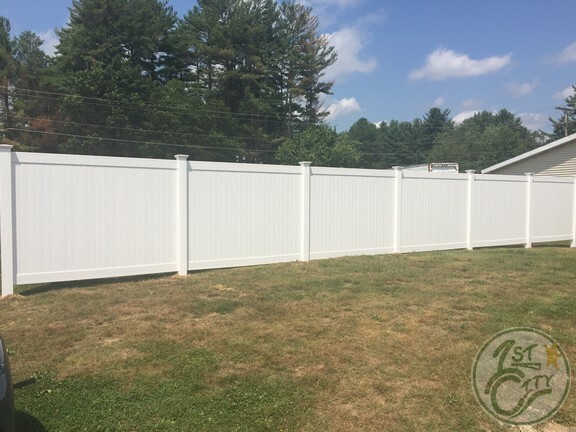 Thank you to GC/AAA Fences for our new fence at our 4 Flagg Road store in Gonic! This is our 4th time we've had a fence installed by GC/AAA and it is always an awesome experience! Our Blooming Business Yard Sale is TOMORROW!!! 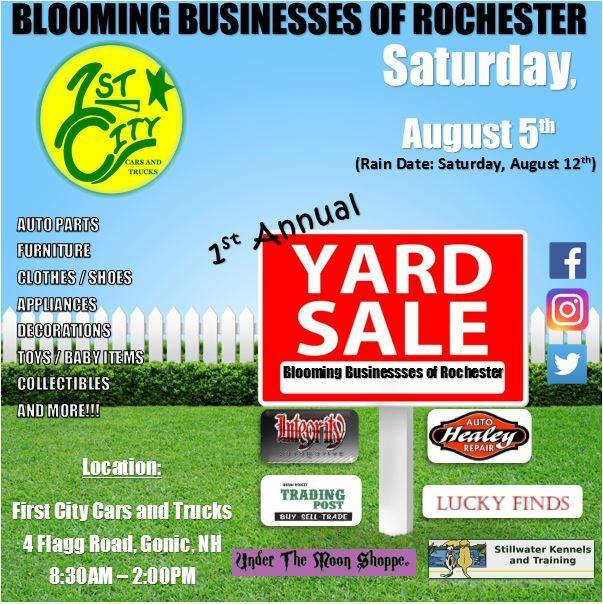 Join us TOMORROW for the Blooming Businesses of Rochester's 1st Annual Yard Sale at First City Cars and Trucks - 4 Flagg Road Gonic, NH! Shop the large variety of items - auto parts, furniture, clothes, shoes, appliances, decorations, toys, baby items, collectibles, AND MORE! Stillwater Kennels and Training inc.
Have you listened to win? Have you listened to 95.3 The Bull for a chance to win tickets to Luke Bryan? First City Cars and Trucks has sponsored Luke Bryan's 3-Peat on The Bull! The winner will see ALL 3 Luke Bryan shows AND meet him backstage at the Bank of NH Pavilion in Gilford, NH!